Video marketing is growing into one of the most effective methods for engaging target consumers. It’s why many people post live video feeds to social media and why a lot of businesses are investing in a YouTube marketing strategy. Does this mean you need to start placing ads on YouTube? No. I’m talking about other YouTube marketing tricks to grow your own channel. In many ways, having your own channel is more effective for marketing than actual ad placement. Think about it: about 80% of people between 18 and 49 watch YouTube videos. Why Grow a YouTube Channel? People view an incredible number of videos per day. This is true whether it’s on YouTube or some other social platform. In fact, about 83% of businesses experience a positive return-on-investment with video marketing. First of all, YouTube utilizes its own search algorithm while sharing videos in Google. This means people can find your videos in Google search results as well as through YouTube. It expands who you can reach on either platform. Building a strong audience can vastly improve loyalty among your target consumer. Loyalty often translates into improved word-of-mouth marketing, which can easily boost sales and leads. When you create a video on YouTube, you can easily share it among other social sites with a quick click of a button. You can send videos to Twitter, Facebook and even Reddit, as long as you have those social sites connected. A great way to improve visitor retention of your website content is to add a complementary video. Many people are likely to watch the feed, which gives you a greater chance to make a connection. As you gain popularity, you’ll find it much easier to find collaborations with other brands or influencers. These collaborations can quickly expand your reach to an audience who may not know you exist on the platform. Today, I’ll go into how to market yourself on YouTube and gain a stronger audience. After all, gaining these viewers has incredible potential to drive your brand forward. Mobile devices are a prominent technology on the Internet. In reality, about 60% of YouTube videos are watched from these hand-held units. This means you need to keep smaller screens in mind when making content. This means you should refrain from smaller fonts, images and other elements which may be too hard to see on a five-inch display. You also want to keep in mind the sound quality of your videos. Not all smartphones and tablets have state-of-the-art sound systems, like some desktop computers. Viewers need to clearly hear your message. If possible, try to preview the video from your own mobile device before publishing it. Thumbnails for YouTube videos play an important role for click-through rates, or CTR. This is when someone sees the image and feels compelled to open the video. A good thumbnail can increase your CTR by more than double if it resonates within your audience. It’s always a good idea to test different images to see which performs better for getting views. If you don’t have premium graphic design software to build a good thumbnail, you can always use Canva to design images. It’s a free tool that has pre-defined layouts for social media, including YouTube. The artwork in the header of your YouTube channel plays a role for engaging your audience. If it’s plain and basic, many people will turn away from subscribing. You want channel art that depicts your brand and what you’re offering to visitors. And because the channel art is at the top, it’s one of the first things visitors will see. You need to grab their attention. You don’t want it to appear too busy or cluttered with a bunch of random imagery. It should be clean and have the prospect of connecting with your audience in much the same way ads do for marketing campaigns. You’re not going to engage everyone who comes across your videos. Focus more on the ideal consumer with whom you want to create a connection. It’s these people for which you want to create videos. This process works much in the same way as looking at your Google Analytics profile for a website. However, you can also use the analytics tools built directly into YouTube. By knowing what your target audience is looking for, you can build a strong subscriber base by giving them exactly what they want. The video description section is a great place to put links to your social profiles as well as website content. Visitors can then click these links while watching the video and explore your presence on the Internet. But you don’t want to stop at just making sure your links are available. During the video, inform viewers of those links in the video description. This acts like a call to action, which prompts people to follow the suggestion. It also doesn’t hurt to show of links or profiles during the video. In fact, a lot of popular YouTubers will show off their social media profile names during the beginning or end screens. I know from personal experience how the traffic of a blog can increase by nearly 300% simply by using links in the description and within the video. While there are a lot of ways to create viral content, you should focus more on satisfying the needs of your audience. It’s all about answering a question or delivering the best entertainment value for your viewers. This works in much the same way as producing high-quality website content. Only, you are focusing more on addressing the needs of your audience in a video rather than text. How-tos and other tutorials work exceptionally well on YouTube. Many will fall into the trap of trying to create longer videos to boost watch time in YouTube. That doesn’t always work. Not only does it waste your time, but it can damage your reputation to viewers. No everyone wants to sit and watch someone who is long-winded and taking too long to get to a specific point. Don’t try to force the length of the video to fill some ideal time constraint. If a shorter video will do the trick, then so be it. If you can’t help but make a 30-minute video because the content requires it, that’s OK too. Just don’t add filler or fluff. Your audience is watching the video for its content value. Many of them don’t want to sit through a 10-minute infomercial about your brand or product. A lot of businesses find fun and informative videos to easily outperform advertisements. Which is why creators will try to liven up the videos or offer something of incredible value. For instance, you could easily develop a how-to video for a product you sell. This helps current customers and may draw new ones looking for ways to use the product before making a purchase. Storytelling is an effective method of engaging an audience whether it’s on a blog post or YouTube video. It’s because consumers often create emotional connections to creators, which boosts subscription rates and engagement. And the more personal information you can add to the video, the stronger the connection. It helps inspire a more humanized element to a brand making it seem more like a person than a business. This isn’t to mention how an engaging story keeps viewers watching. The total watch time affects how often and where YouTube’s algorithm will show your video. Social media and websites are not the only ways you can share YouTube videos from a marketing perspective. You can also embed them into your email lists. Since a lot of people have the capacity to receive HTML-based email, it’s not much effort to include your video into the message. You can even go so far as to create snippets of your videos for these messages while leaving a link to the full video to entice additional interest. For instance, you could have a landing page ready with the full embed of the video for email subscribers to visit through links from the message. One of the most profound YouTube marketing tips you need to keep in mind is aiming for viewer retention rates. Not only does this help with engagement, but it also affects YouTube’s search algorithm. If you’re losing viewers only after a few seconds, then you may want to reconsider your opening. If you lose them after the half-way mark, it’s probably a good sign that you’re not providing enough quality to keep viewers watching. You can find this information in the YouTube analytics page for your channel and by seeing stats for individual videos. Turn your video descriptions into short blog-like layouts. These are used by the YouTube algorithm as well as various search engines. While you don’t want to put in a full-sized article, offering video details is key to ranking. For example, I found many videos are being viewed from Google and Bing search results pages for several videos. This is because I create a short, 300 to 400 word synopsis of the video while including various keywords. You have up to 5000 characters in YouTube for this description. You don’t have to fill the entire character limit, though. Just offer details and searchable elements that accentuate the video. Titles in YouTube work just as titles on a website. The more often you can create catchy titles, the more likely people are going to click on the video. A good rule of thumb is to keep the character limit under 55 as best you can. This is the viewable limit of thumbnails for videos in YouTube. You want to grab the viewer’s attention in this viewable space without cutting off the end of the title. And I know not all titles will fit in this small of a space. However, it helps the CTR if you can manage to do so. Keywords and tags are just as vital in YouTube as they are on a website. In fact, a lot of the same keyword techniques are used to create titles, descriptions and videos. One of my favorite tools for finding the best keywords and tags is vidIQ. This free tool analyzes what terms are the most sought after in YouTube, which greatly impacts everything from impressions to views. In any case, it’s imperative to include your keywords and phrases in video development on YouTube as you would for a high-quality website article. You need to give YouTube’s algorithm something to analyze. Trends are affluent when it comes to making well-received videos. It also helps to monitor trends if you want to build the best online audience. By keeping apprised of what your viewers are looking for and what they care about today, you can create relevant content for their needs. And I’m not just talking about trends regarding your own website and business. Keep your thumb on the pulse of your industry and let viewers know how you can help or what it means to the brand. A good tip for this is to make sure the trend your watching is relevant to your business. You want to focus on your niche and keep your specific audience engaged. Growing your channel will take time. However, the outcome is often worth the investment. 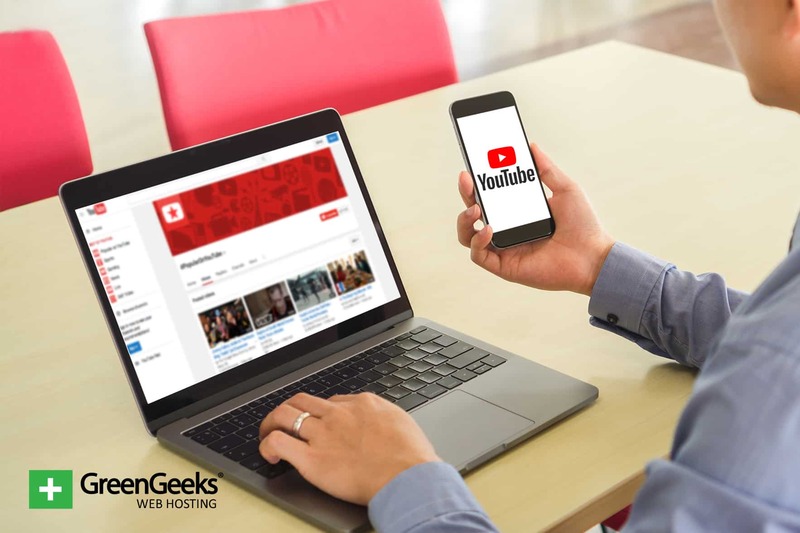 By putting to work any of the above YouTube marketing tips and tricks, you can surely begin to carve out your own piece of the digital video pie. Engage your audience and strengthen the branding and reputation of your business. You can get started today with just a webcam or smartphone. Hello! I hope you continue to write such articles about the expansion of the YouTube channel! There is definitely something to learn! The information is very well selected and everything is in place! Thanks! You are welcome. There’s a lot of potential for using YouTube whether you want to focus on becoming an influencer or a viable platform to market the website. I’ve personally seen channels on YouTube increase blog traffic just by adding the URL in thumbnails and video description.